Is Buddhism a Good Religion for People who Don’t Like Religion? The number of people who don’t practice an organized religion is growing. For almost all of human history, leaving the religion of your parents was unheard of. You could be born into a religion and stay in that religion your entire life, never even thinking about changing or exploring. This is still true for the vast majority of people. But those who are not content to stay in the religion they were raised is growing. Some people are leaving the sect of their parents, but staying in the same general religion. Some people are joining other religions. A growing minority is leaving behind religion entirely. Then there are those who declare that they are “spiritual but not religious.” Those who don’t want to cling to a religion but at the same time do think there is some spiritual aspect to life. At least that’s what I think it means. I suspect that if you interviewed people who viewed themselves as spiritual but not religious, you could get many different answers. This is considered the fastest growing demographic in the United States—people that walked away from religion but don’t want to identify as atheists. Buddhist practice can be suited to those who are turned off by religion but still want some degree of spirituality in their lives. One caveat I have to make is this: Buddhism is more open to change than we usually think of religions as being. Because of this, some of the different sects of Buddhism view it very differently than others. That being said, this article will only focus on core Buddhist teachings and I will avoid sectarian ones. Here are some reasons why Buddhism can be a good fit for those who are spiritual but not religious. 1) It’s a contemplative system. 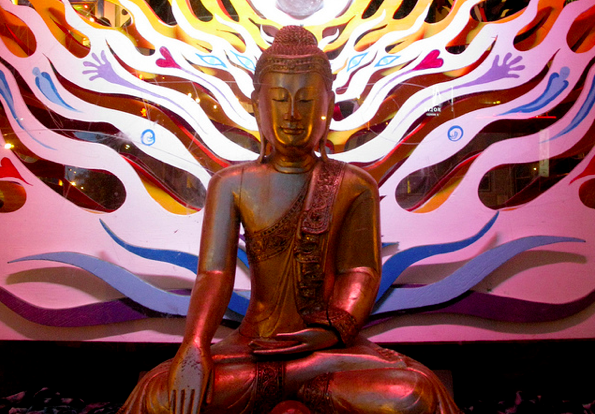 The Buddha attained enlightenment through meditation. So, meditation is central to the Buddhist path. Other religions contain contemplative ideas, but generally don’t have contemplative practice at the center. It’s about this practice, not about institutions or authority figures. 2) There is no Buddhist God. Some people don’t like the idea of an all powerful creator. Buddhism doesn’t have one of those. Part of the point of the Buddha’s path is that he was a normal human. Any of us has the power to follow the path to awakening that he discovered. That is an empowering thought. That said, one could believe in gods and be a Buddhist. I know several people that do. But the point is that the Buddha was a human being like us, so we can do what he did. 3) Buddhism is about living life in the right way. It isn’t about being saved or going to some other world. Buddhism teaches that deep down we are pure and enlightened already, we just have to realize this by clearing away delusion. There are different ways to go about trying to achieve this. My favorite is the cultivation of the six perfections: generosity, virtue, patience, diligence, wisdom, and concentration. We just have to cultivate these, nurture these in our hearts and expand them. 4) The path is easy to understand. The problem is that life is unsatisfactory. This is caused by ignorance and delusion. The solution is waking up. How do we wake up? The Buddha taught that our suffering starts with our false belief that we are separate from everything else. We spend our lives identifying with this little “self” and really it’s just a convenient fiction. We are one with the world around us. And we can come to understand that through the cultivation of morality, wisdom, and concentration. 5) The truth is inside you. We are trying to wake up. And the way to do that is within us. We are working with our minds to live more mindfully. Meditation is our tool. Because we are working with our minds, it can be said that the real truths of Buddhism all come from within us, not from some outside force. So, Buddhism doesn’t expect us to take things on faith, because we are seeing things for ourselves by working with our minds. 6) You can do it. The Buddha was just a man, as I said. As human beings we have all the resources we need. We have Buddha nature within us, which means we have the potential for enlightenment. And there are many teachers, those who can offer us instruction and inspiration. Those who prove to us it can be done. Although our experiences prove that to us as well. And there are fellow practitioners all over who can support us on our path too, like workout buddies. Buddhist teachings offer us a path with a clear set of instructions and predictable results.